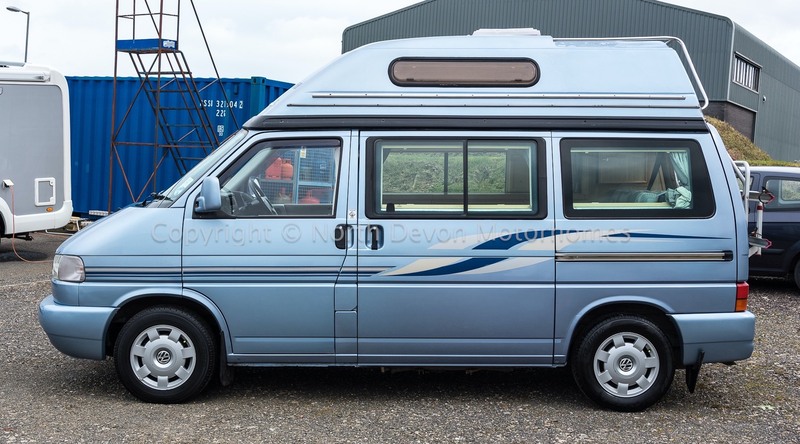 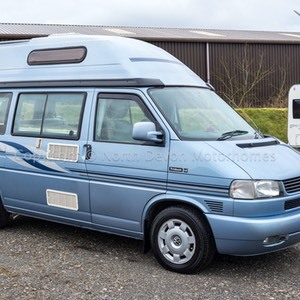 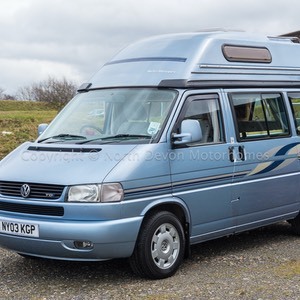 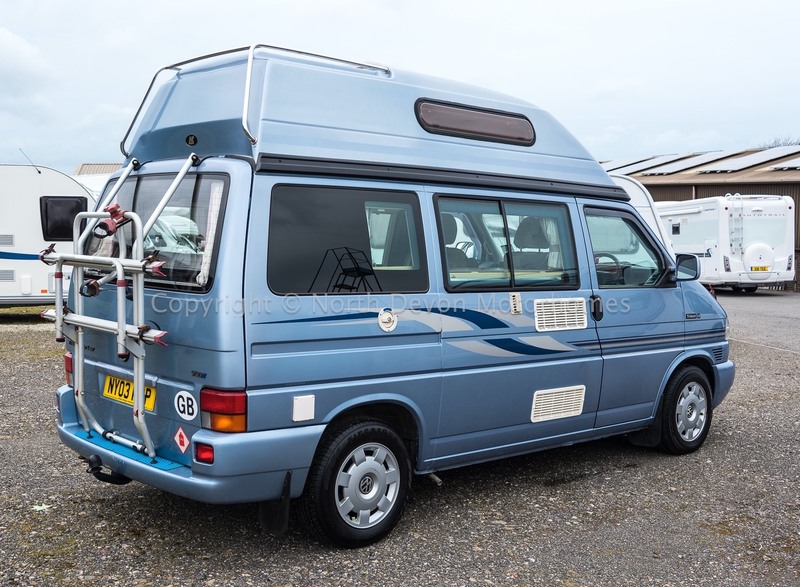 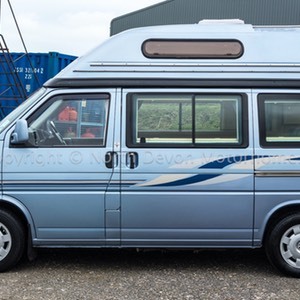 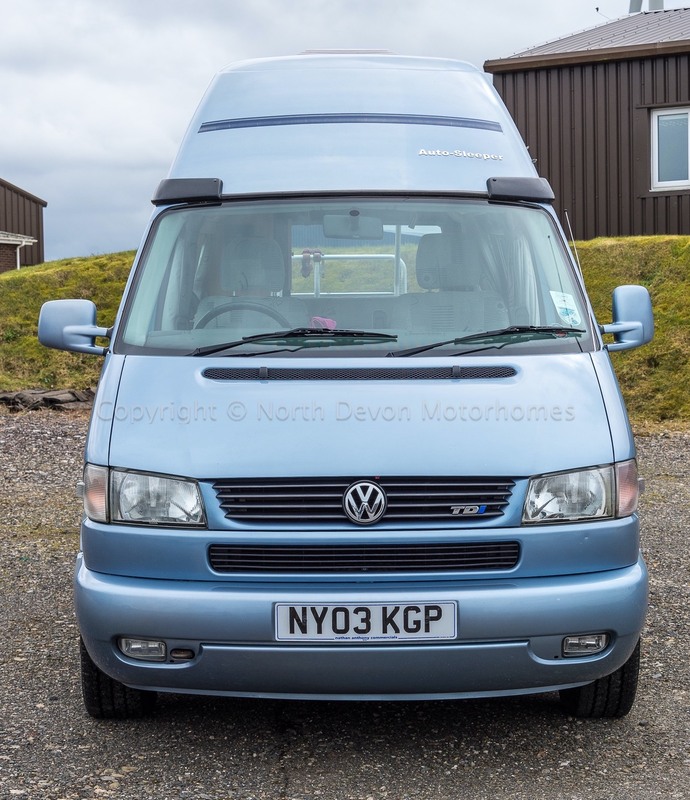 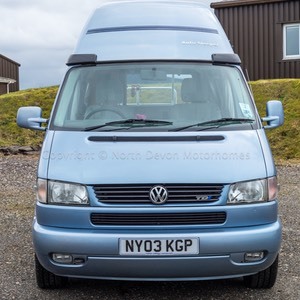 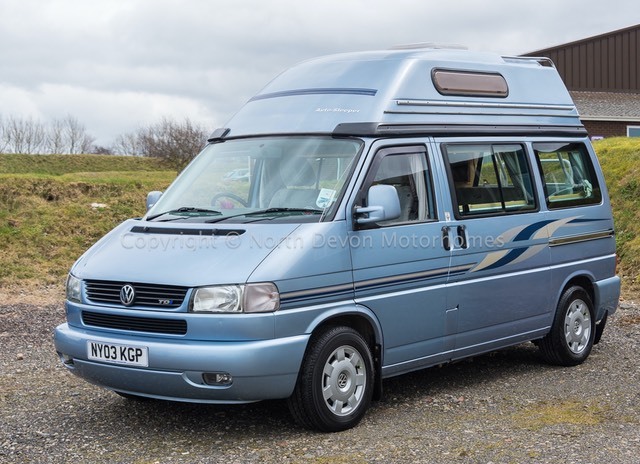 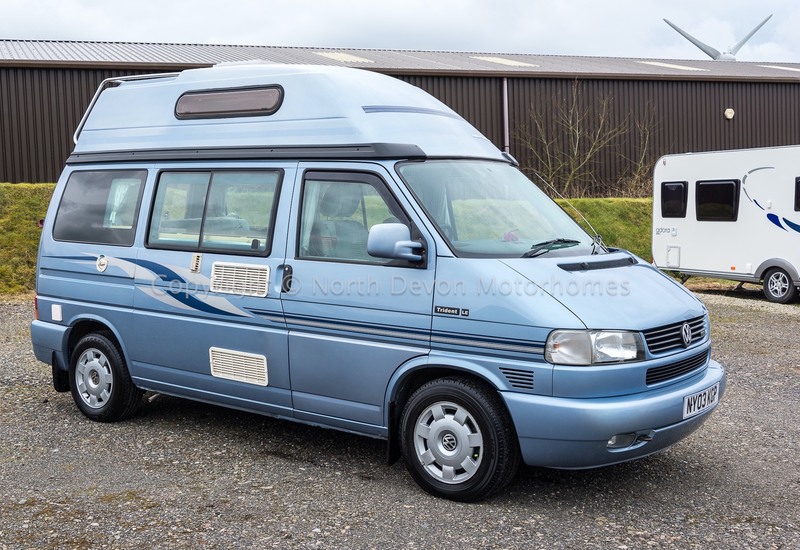 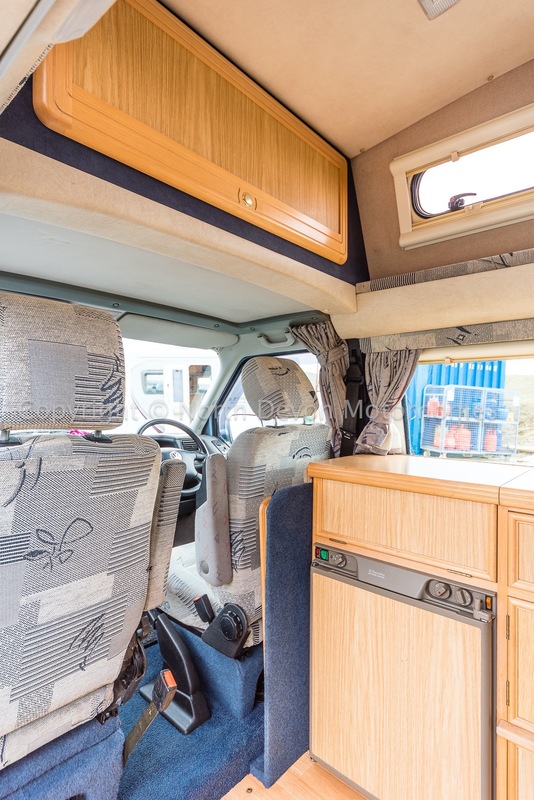 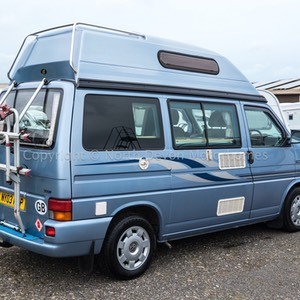 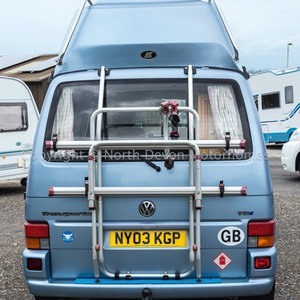 VW Autosleeper Trident based on a VW Transporter 2.5tdi showing 76500 miles. 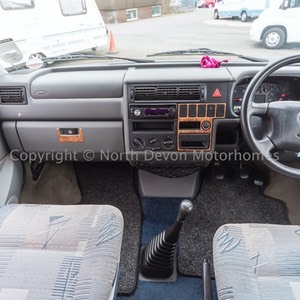 Central locking, electric windows, electric mirrors, PAS, drivers airbag, stereo/CD player, cruise control. 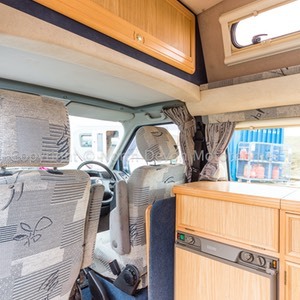 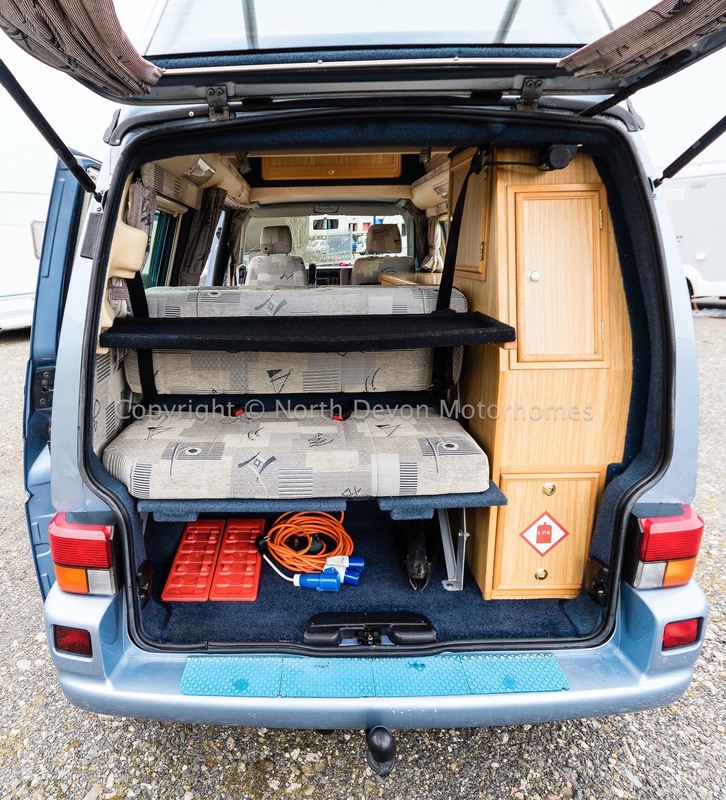 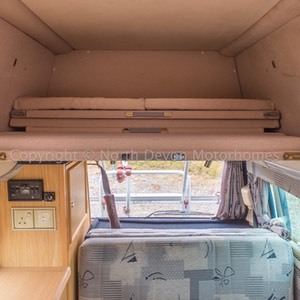 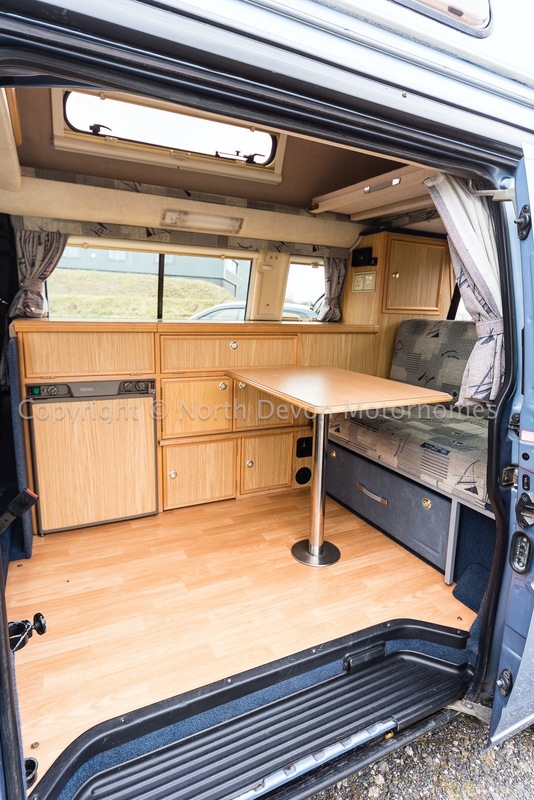 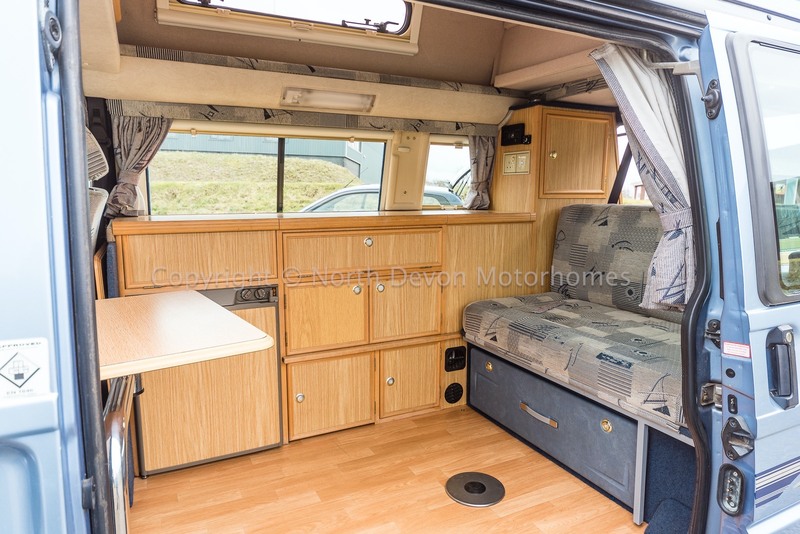 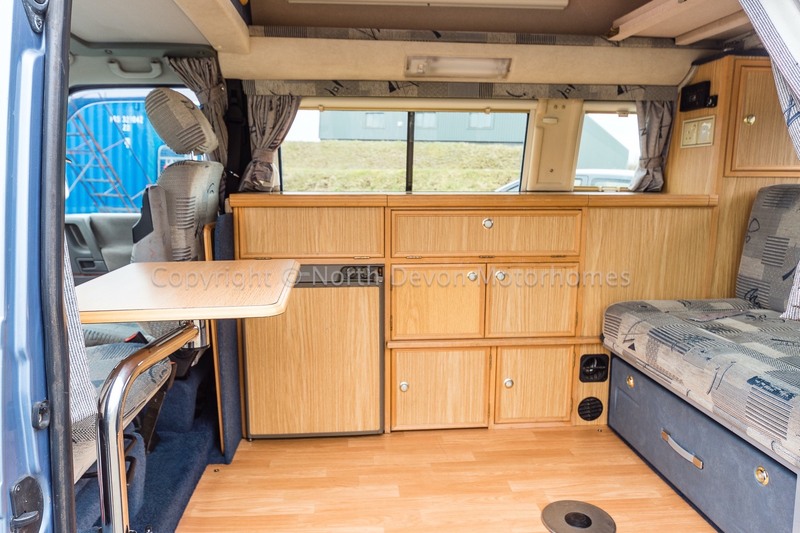 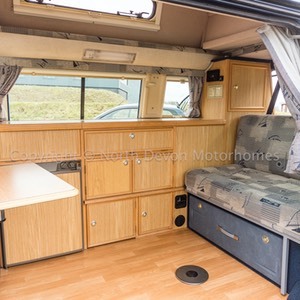 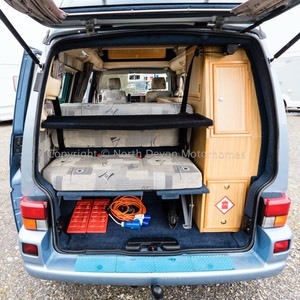 4 berth Hightop, 3/4 Rock and roll bed with full length cabinetry. 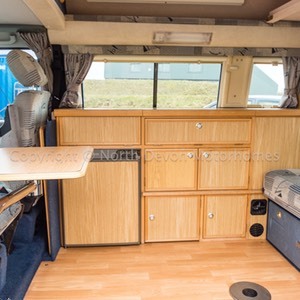 Sleeps 4, lower rock and roll forms a tidy double whereas the roof bed forms a full width double suitable for children. 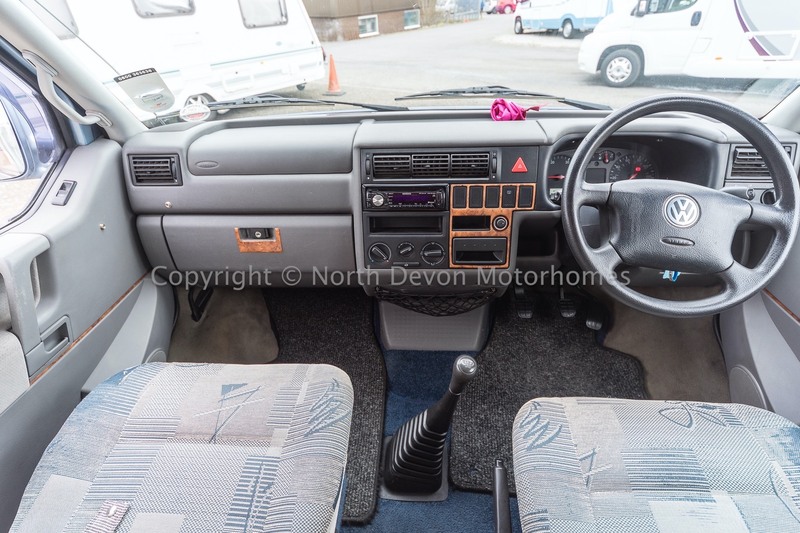 Four, three point seat belts. 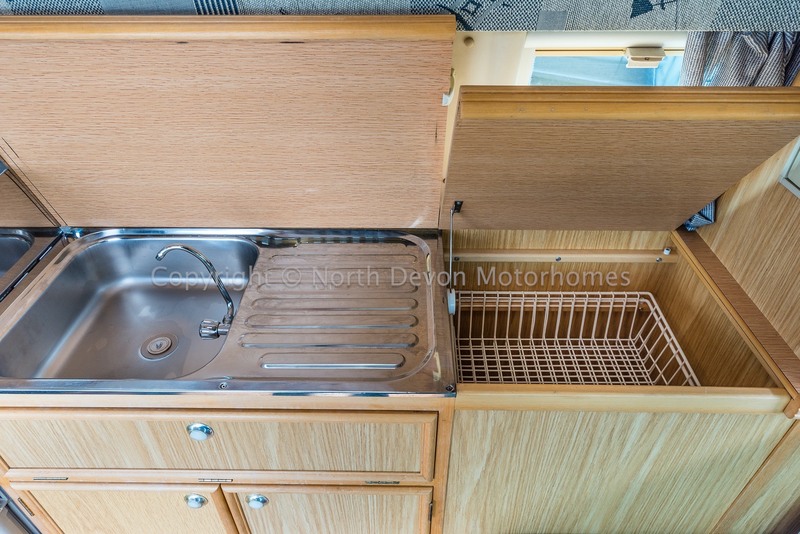 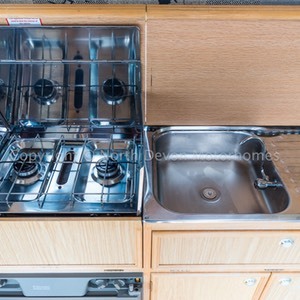 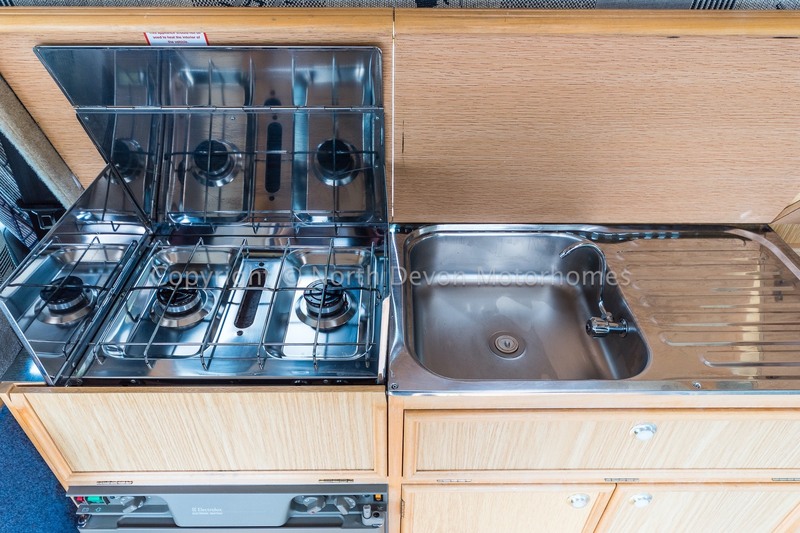 Two burner hob and grill, Sink with drainer, three way fridge with ample low level storage. 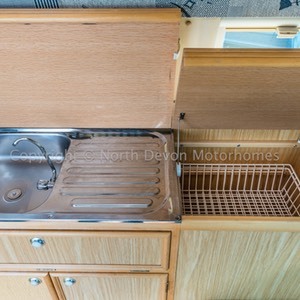 Onboard Fresh and waste tanks. 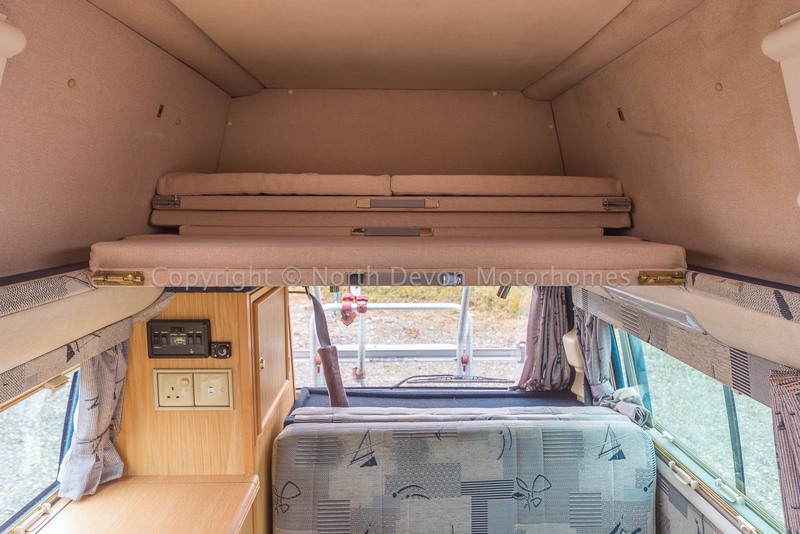 Nets and blinds throughout, double glazed, 240V hookup, Zig charger unit. 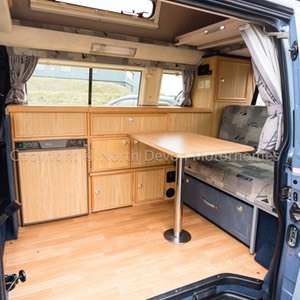 Rock and roll bed forms comfortable lounge seating with inclusion of passengers swivel seat, 2 stowable tables form various dining options with the large sliding door to the beautiful outdoors. 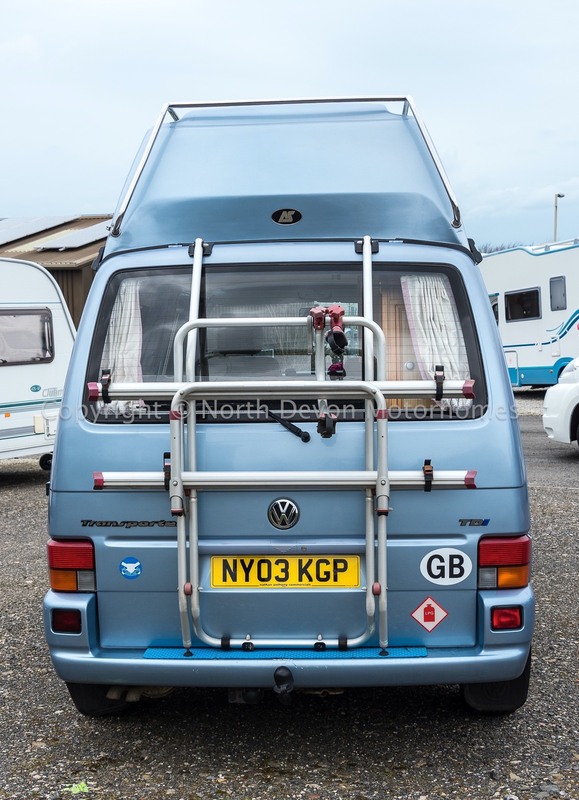 Bike Rack, Tow Bar, Roof Rails, Free standing awning included but condition unknown. Stowable PortaPotty.